Covering more than 2 million square miles in South America, the Amazonian rainforest plays an important role in regulating the level of carbon dioxide, and thus affects global climate. In the Amazon, strong transpiration along with sea-land interaction, produces the classic tropical rainforest climate. The growth of rainforest is influenced by precipitation, especially during the wet season from December to May. Previous studies indicate that the interannual variability of the Amazonian precipitation could be largely attributed to the variabilities in the South American monsoon and the El Niño/Southern Oscillation (ENSO). However, the trend of the wet season tropical Amazonian precipitation during the recent decades is less investigated. Has Amazonian rainfall in the wet season changed in recent decades? In a new study published in Environmental Research Letters, Professors Zhu Jiang, Li Xichen and Ph.D. student Wang Xinyue at the Institute of Atmospheric Physics, Chinese Academy of Sciences, and Professor Clemente A. S. Tanajura of the Institute of Physics, Federal University of Bahia, have revealed that Amazonian precipitation in the wet season has largely increased during the past three decades (1979-2015). They used atmospheric general circulation model to explore what caused enhanced rainfall. The results based on a model simulation suggest that the tropical sea surface temperature (SST) variability may control this process, particularly in Atlantic and Pacific. 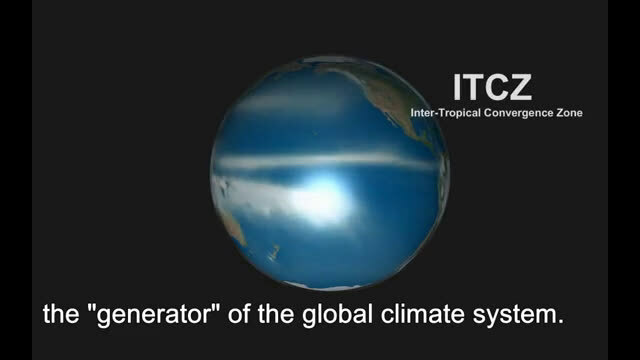 In the past three decades, the Atlantic experienced the positive phase of the Atlantic Multileader Oscillation, characterized by a strong warm anomaly over the North and tropical Atlantic; while the Pacific exhibited the negative phase of the Pacific Decadal Oscillation, characterized by a cooling anomaly over the tropical east Pacific. 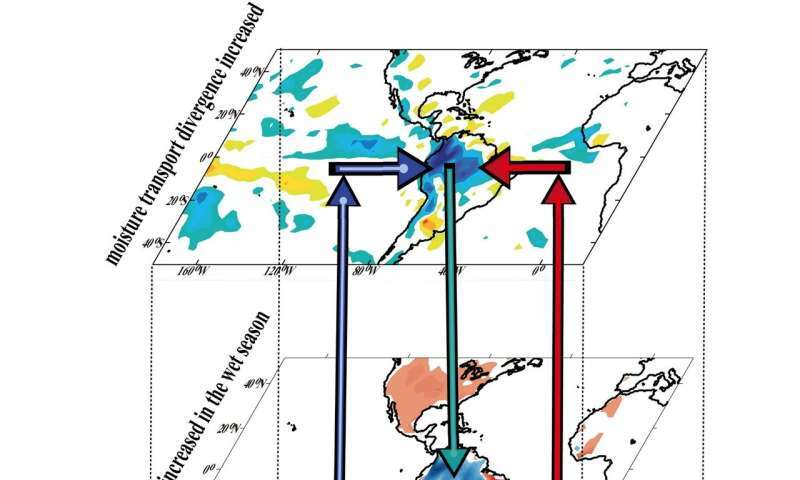 "The SST changes over both the Atlantic and the Pacific contribute to the precipitation increase over the Amazonian basin, through atmospheric teleconnections. And we find the Atlantic SST forcing plays a comparatively more important role than the Pacific SST," Says Zhu, the corresponding author of the study. These results provide new perspectives to studying the long-term change of the wet-season Amazonian precipitation. Why has the El Nino-Southern Oscillation been more difficult to predict since 2000?